I know I haven't posted in AGES please forgive me :) I've just been hella busy, l doing another round of the protocol in a few days buuuuuuut I wanted to report some things I have found that have worked for me during Phase 2 but remember everything in moderation! El Ponchin Churritos (Corn Sticks) the nutritionals read 5 grams of carb per serving, the bag contains 2.5 servings AND one serving also contains 4 grams of dietary fiber, meaning that the net value of carb per serving is 1 carb per serving! or 2.5 for the whole bag! I serving has about 60 calories so you could cut back to 1/2 a serving and get your crunch on! These are mexican snacks :D I am mexican so I was driven crazy when I discovered I could eat these! I squeeze some lime juice over them and some hot sauce and they are frikin delish! and curb that crunch factor >..< sorry I know I am a terrible person for showing this to people if they find it hard enough to stick to the protocol! 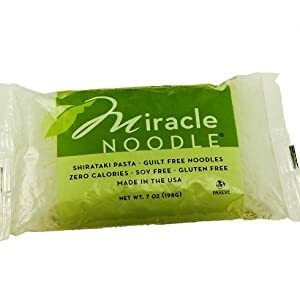 I've seen the Dreamfields Pasta-- it says something like "only 5 grams carbs" or something like that right? You used it on P2 and did well?? I'd like to try it (I am on P4) but was a little hesitant. Wow!!! Thanks for the update! I've found a lot of different ways of eating off protocol but still losing in a manner that's 100% satisfactory for me The glycemic index is one way and it seems you've found that too with the plums! Exciting stuff! We're allowed minimal carbs in P2 so it would make sense that the pasta would work. Will you have a journal when you begin your new round? I'll look for you and keep track of your guaranteed success!!!! Subject: Re: oMG OMG!!! You guys! Food LOVE here!